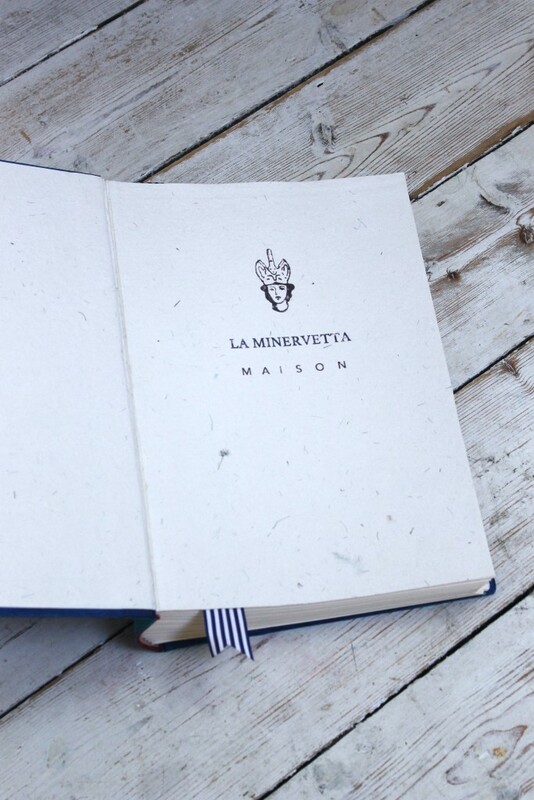 Custom Visitor's Book for La Minervetta, Sorrento. If heaven has hotels, then La Minervetta most definitely will be amongst the top 10 up there! I was fortunate enough to have stayed at this beautiful, relaxing place back in 2013 for a special 40th birthday getaway. When my husband and I arrived at its hill top entrance [which had a little entrance with a tardis looking elevator cubicle] I was a little worried that we had booked yet another hotel which was going to disappoint...usually when you book accommodation online the photos look amazing, but when you get there disappointment sets in, but not with this place! It is by far the best hotel I have ever stayed in. The little lift took us down as it was the only to go to get into this cliff hanging building, we could have taken the stairs, but we had luggage and it was dark. When the doors opened out on to the reception my jaw dropped and I think it remained in that position for the entire time Brian and I stayed there. The lounge area was spectacular with the most enormous book collection I have ever seen. The dining room was ART! The beautiful veranda overlooking the bay, enchanting. The whole place has been designed with impeccable taste that is kind to the surrounding beauty of the bay of Naples and expanse of sea and the mysterious Vesuvius in the distance. Red, white, blue and turquoise, how can you go wrong with a colour palette like that? We were shown to our room which had a panoramic view of the bay, being night time I couldn't see much, but knew it was beautiful; little did I know what sights I would see in daylight. I remember waking up at dawn that first day, hearing the sea, when I rolled over I was in awe of the beauty that lay beyond the balcony and window. It was truly hard to leave this hotel and go explore Sorrento as it was just one of those places that kind of feel homely, but with luxury! With only 12 rooms, all facing the bay, I'm sure every visitor wakes up in the morning with that same feeling. Built in the 1950's, the hotel has belonged to the same family who have really created a special place to stay in Sorrento. It's a little out of the way, but a pleasant walk down its beautiful private staircase and then along the marina will get you into town within 20 mins. I remember when leaving the place that it would be so wonderful to have one of my books sitting in a hotel like this for guests to leave comments in about their stay as I know people must only ever have good things to say about it. So you can imagine I was so thrilled when the owner Marco contacted me to request a custom designed visitors book. Something simple with a hint of nautical and of course stripes! Here's what I made. I think it turned out well and pleased to say they loved it too. I am looking forward to seeing some photos of the book on display in their stunning lounge and reception once they reopen in February 2016 for another season of knocking the socks off their guests with one of finest, most homely accommodation in Sorrento, which in my eyes is more than 5 star! If you ever plan a trip to Sorrento in Italy, it would be a tragedy not to stay here, even just for one night...if not a night, go over to see it at least, it is worth it.